2011 Cargo EU reissue on 180 g 2xLP-the second album from the band, leaving behind the 'shoegaze' of Methodrone and diving into sixties-influenced psych. Contains the fan-favorites 'Jesus', 'Anemone,' and 'Feelers'. 2011 Cargo EU reissue on 180 gr 2LP-the second album from the band, leaving behind the 'shoegaze' of Methodrone and diving into sixties-influenced psych. Contains the fan-favorites 'Jesus', 'Anemone,' and 'Feelers'. Satanic Majesties was probably the Stones' least commercial album, filled with weird eastern drones, psychedelia-drenched chantings about (inner & outer) space, and arcane instrumentals like 'Gomper'. Most people quickly forget it, but not these guys: they've put together a tribute that goes it one better, bringing it up to date with the benefit of all the additional weirdness that's been discovered in the past 28 years. Actually more song-oriented than the Stones' effort, while at the same time more trippy. For many of the group's fans, this is their finest hour. 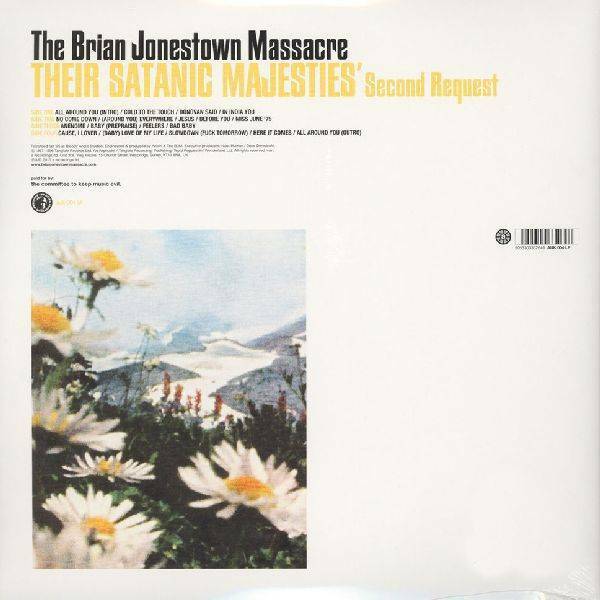 The Brian Jonestown Massacre was formed in San Francisco in 1990. The band has had over 40 members since then, but its driving force and main songwriter is Anton Newcombe. 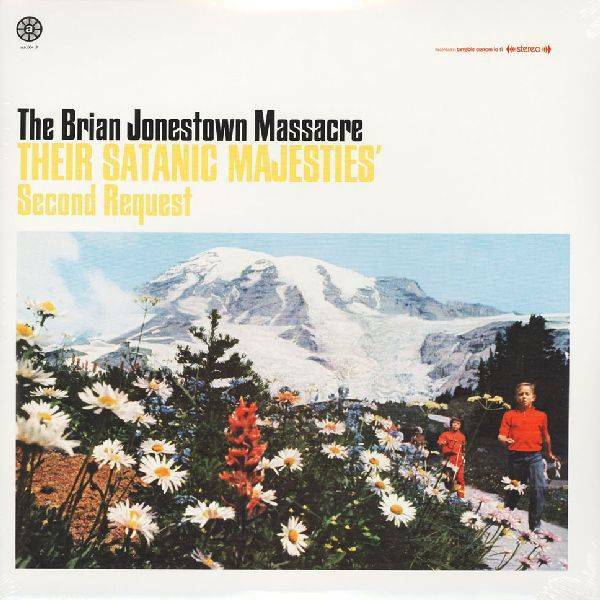 Other prominent members have included Matt Hollywood, Dean Taylor, Jeff Davies, Brian Glaze, and Joel Gion. Their sound is heavily influenced by the psychedelic sounds of the 1960s, but also carries influences from shoegaze, jangle pop, garage rock, and lo-fi genres. 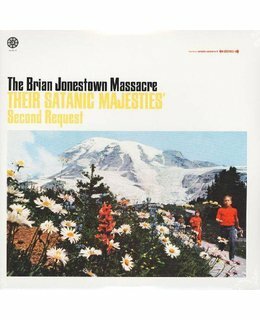 Truth in advertising: the Brian Jonestown Massacre's sophomore album does, as promised, spring forth from the Rolling Stones' long-underrated 1967 masterpiece Their Satanic Majesties Request, copping not only Mick and Keith's leering bad-boy attitude but also their their rock-and-roll-circus spirit. Opening with the brilliant "All Around You (Intro)," a tongue-in-cheek guide to the mind-altering journey ahead, the record is a kaleidoscopic, drug-fueled freakout -- like the Stones' namesake album, Second Request is painted by Eastern drones and psychedelic tangents, each track bubbling with dozens of sound effects including sitars, mellotrons, farfisas, didgeridoos, tablas, congas, and glockenspiels. Travelling through the past, darkly, the Massacre arrives on the other side unscathed; their music is too rich to be merely retro, and too knowing to be merely slavish -- the Stones themselves haven't made a record this strong or entertaining in years.